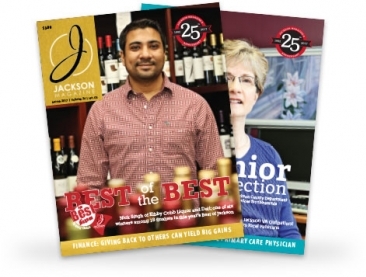 For the 10th year, Jackson Magazine is honoring health-care professionals. These 13 individuals were nominated by patients, colleagues, friends and more and were selected by a panel of local experts. 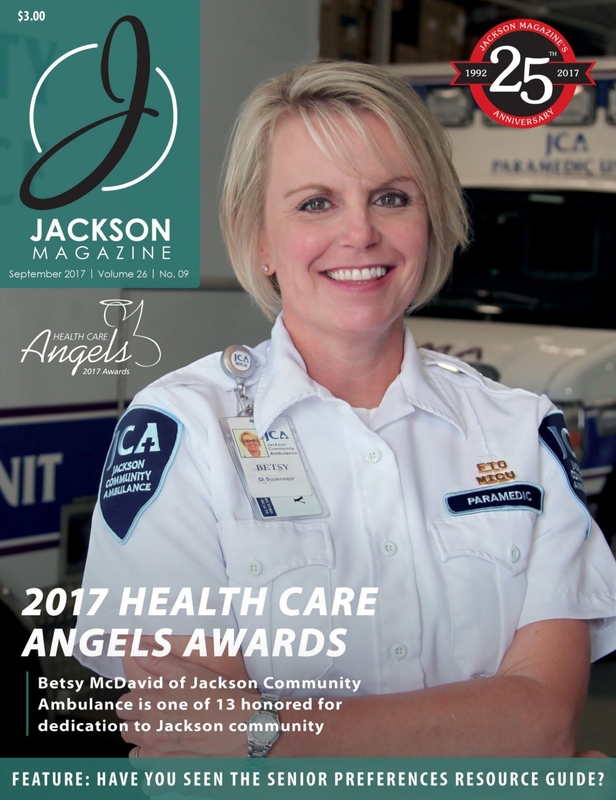 On the cover is Betsy McDavid of Jackson Community Ambulance. You’ll find out more about all of the 2017 winners inside – read it today! 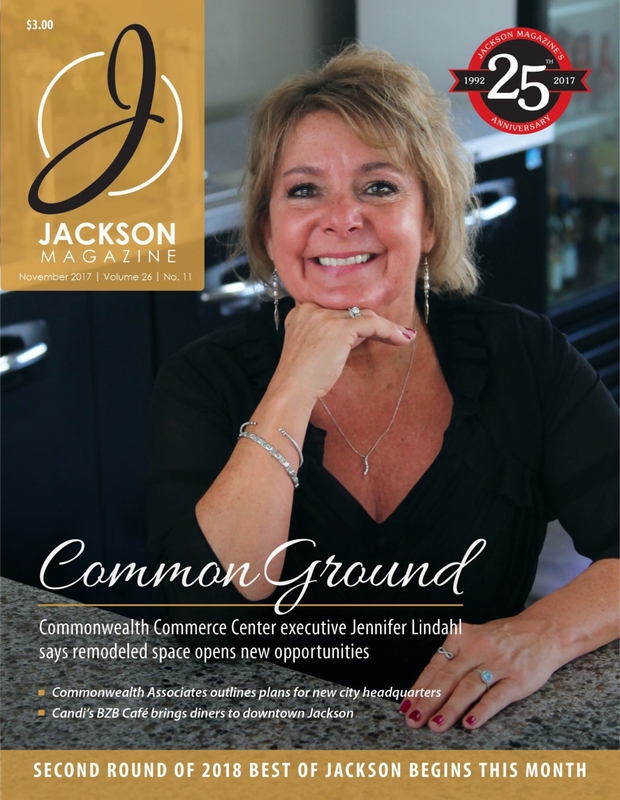 This month, Jackson Magazine interviews three companies involved in different areas of the finance industry. 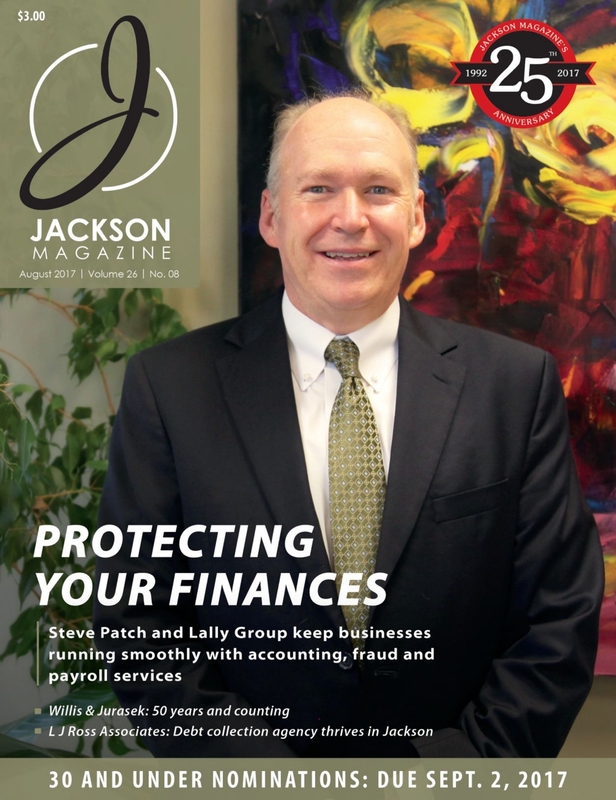 On the cover is Lally Group, which offers a variety of accounting, fraud and payroll services. 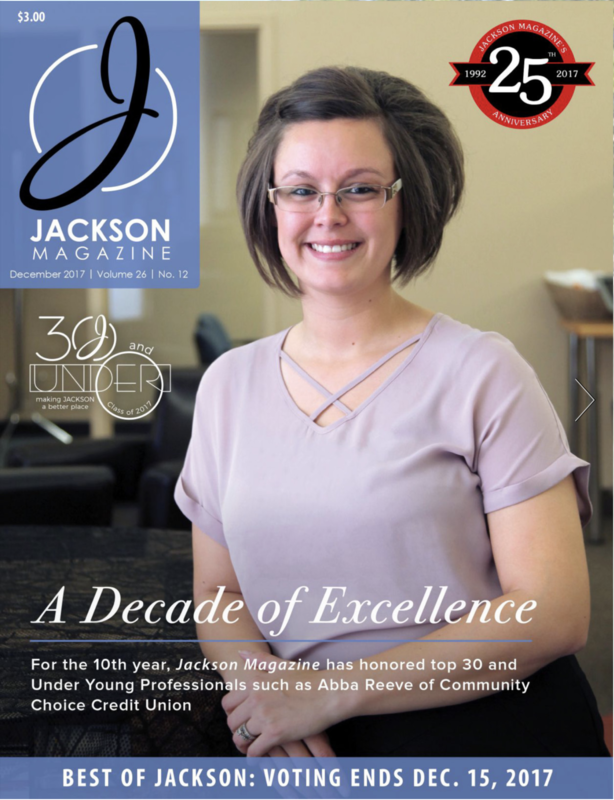 We also feature Willis & Jurasek, a local accounting firm which is celebrating 50 years and L J Ross Associates, a debt collection agency that has seen its business thrive. Check it out online today! Each July, we highlight successful companies in the manufacturing industry. 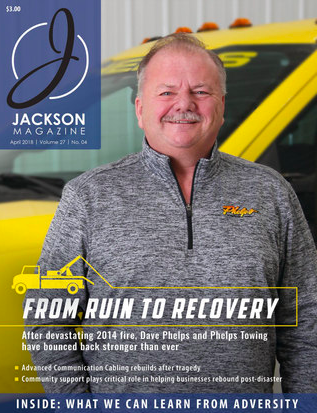 On the cover is Classic Metal Finishing; the company has grown so rapidly that it is expanding by 19,000 square feet. 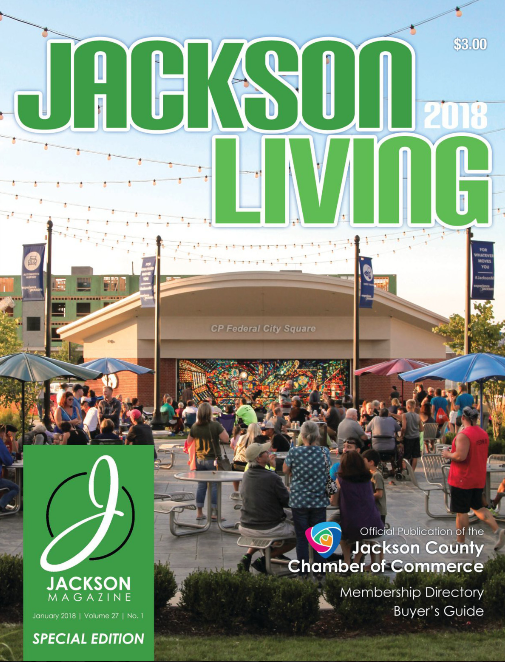 We also feature the Achievement Chocolate Bars company, a student-run initiative, and take a look at the Jackson Area Manufacturers Association (JAMA). This issue also includes the annual JAMA Membership Directory. Check it out online today! 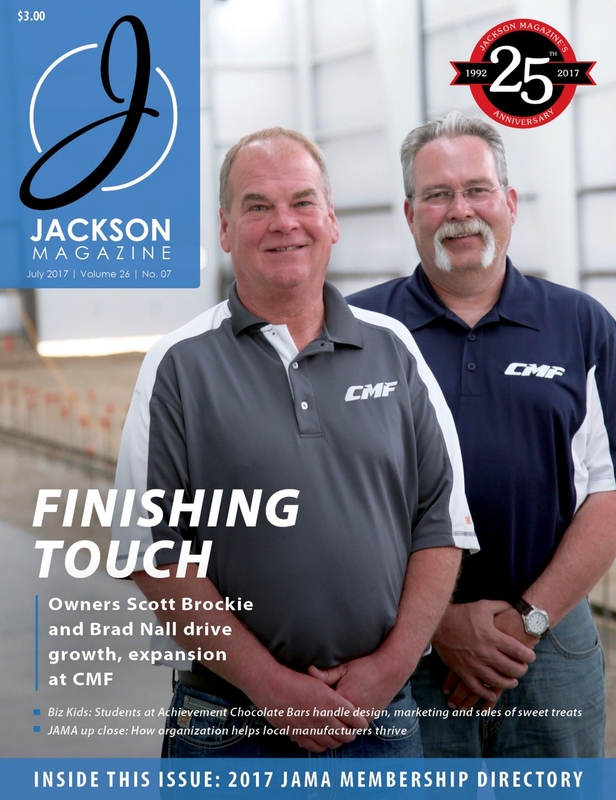 The June issue of Jackson Magazine takes a look at how company owners/founders have handled succession planning. 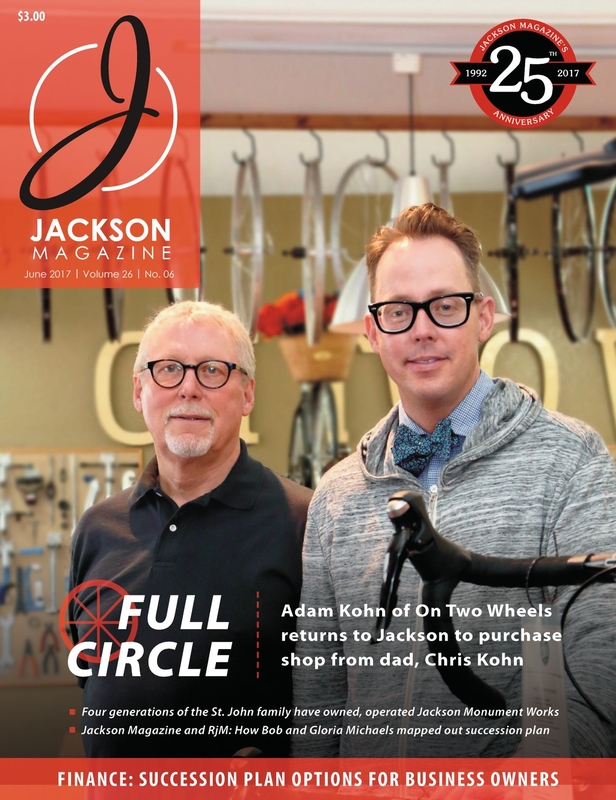 The cover story features On Two Wheels founder Chris Kohn, who sold his bicycle shop to son Adam Kohn. 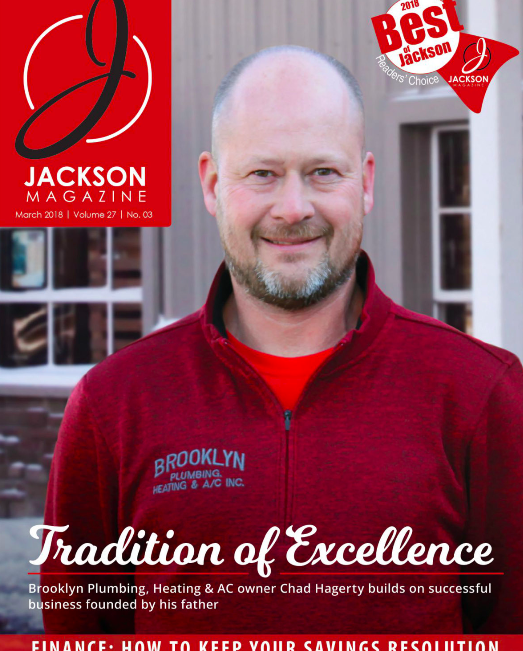 Inside, we speak with owner Chris St. John of Jackson Monument Works; he is the fourth generation of the St. John family to own/operate the business. In addition, we look at how Bob and Gloria Michaels sold their business to someone outside the family; Donovan Cronkhite officially became the owner of RjM. 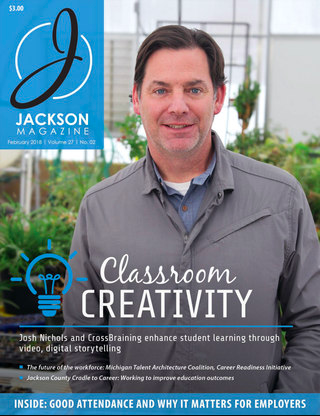 For the seventh year, Jackson Magazine is honoring five outstanding teachers in Jackson County. Thanks to a partnership with the Hurst Foundation and the Jackson Community Foundation, the Teacher of the Year receives $5,000 and the Top Teachers receive $1,000 each to use in the classroom and/or for personal development. 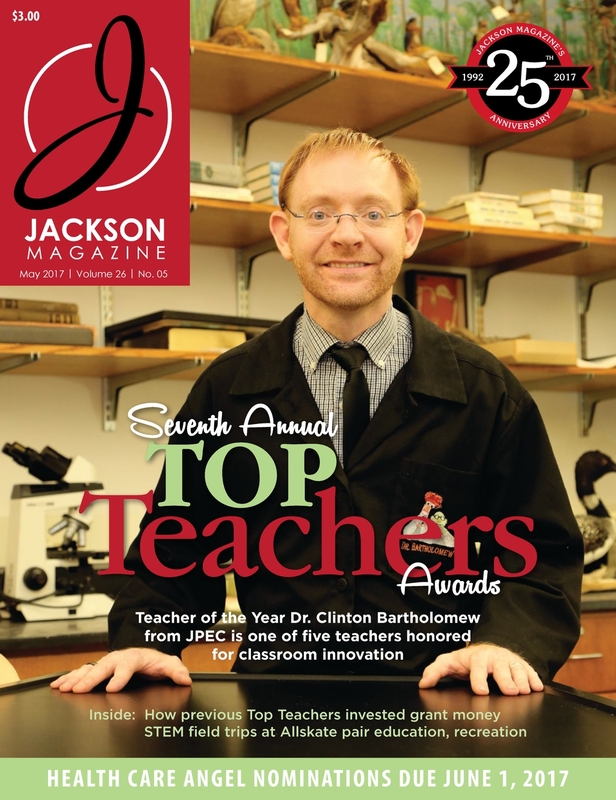 Featured on the cover is Dr. Clinton Bartholomew of Jackson Preparatory & Early College, who was named Teacher of the Year. Also in this issue is a look at all teachers who were selected to the Top 10.